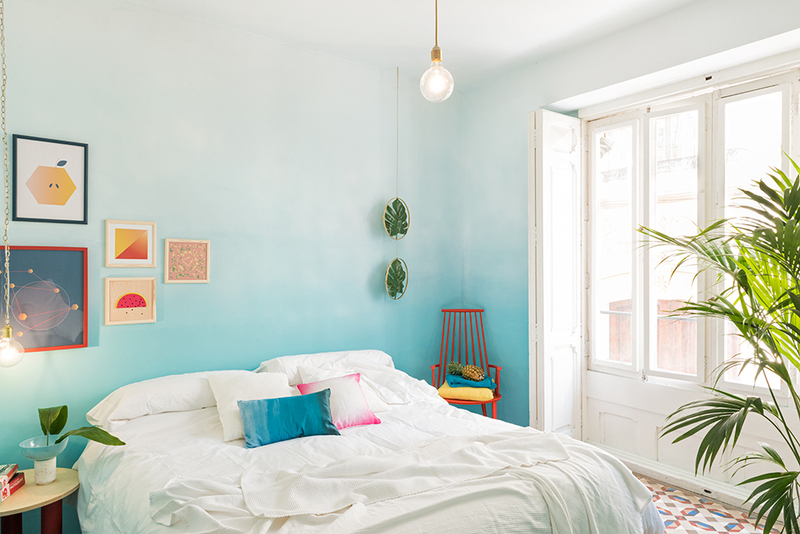 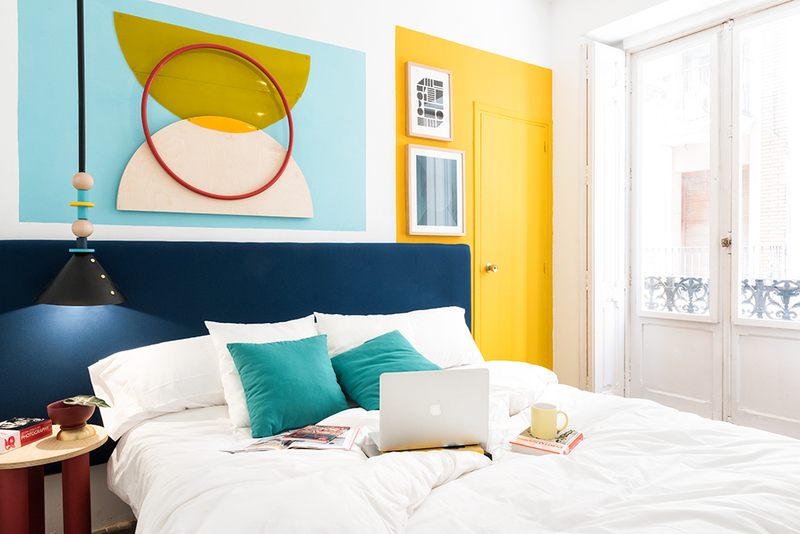 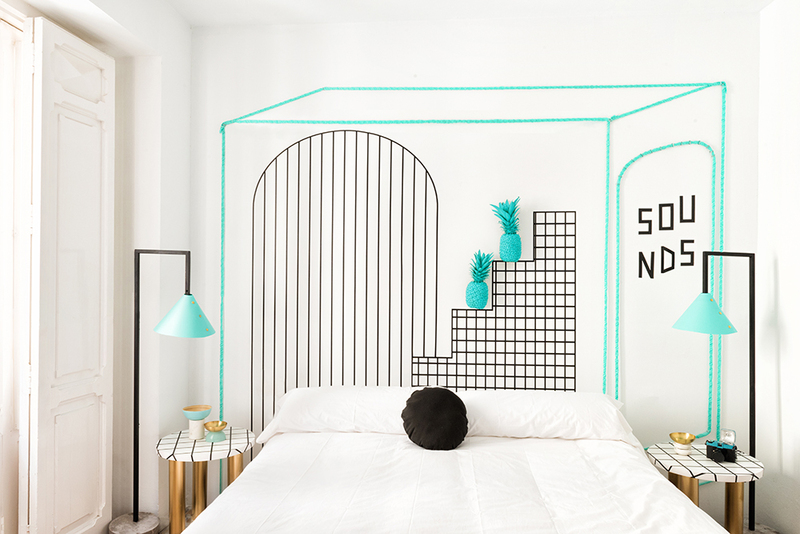 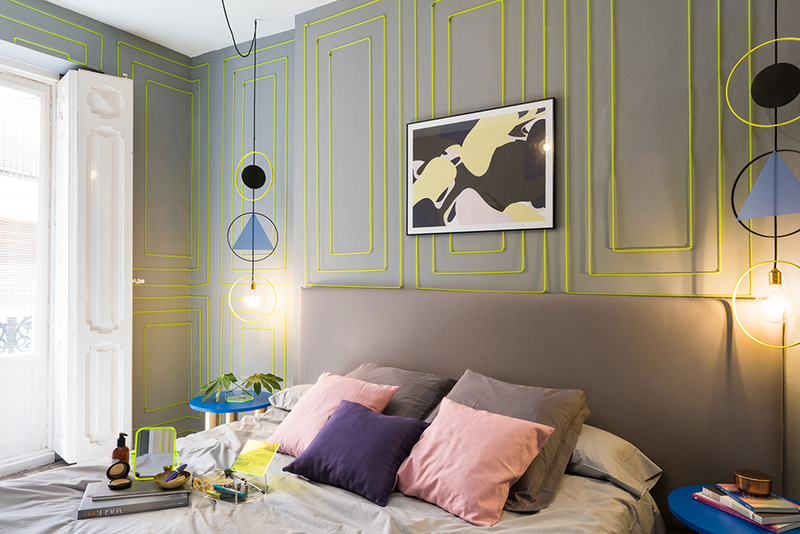 HomeBlogHome DecorValencia Lounge Hostel by Masquespacio. 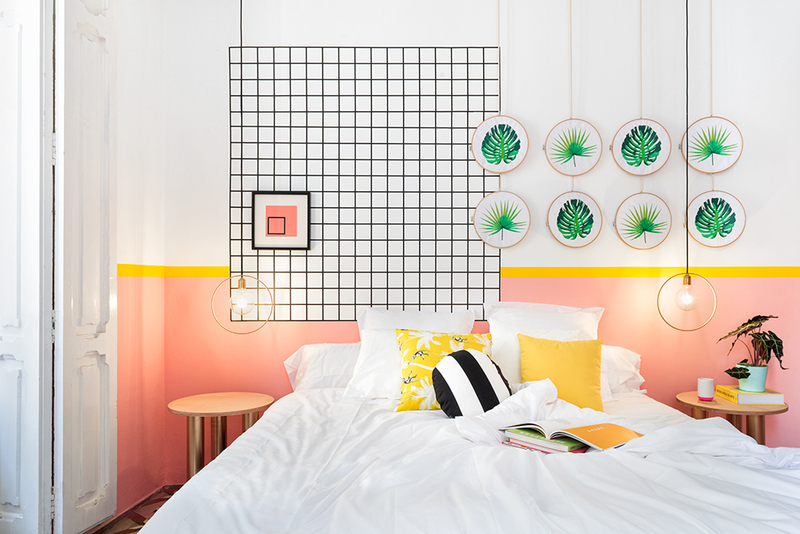 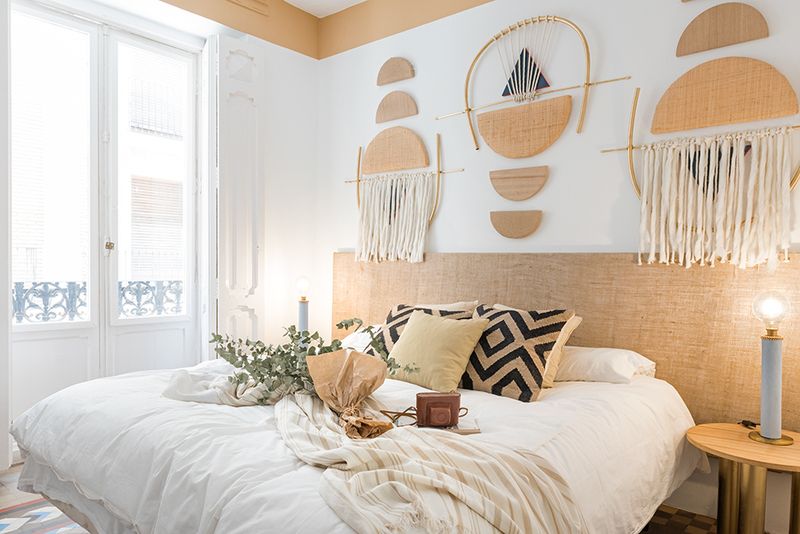 Masquespacio presents its last interior design project for Valencia Lounge Hostel, a hostel of 11 rooms distributed over 236 m2 situated in the old town of Valencia. 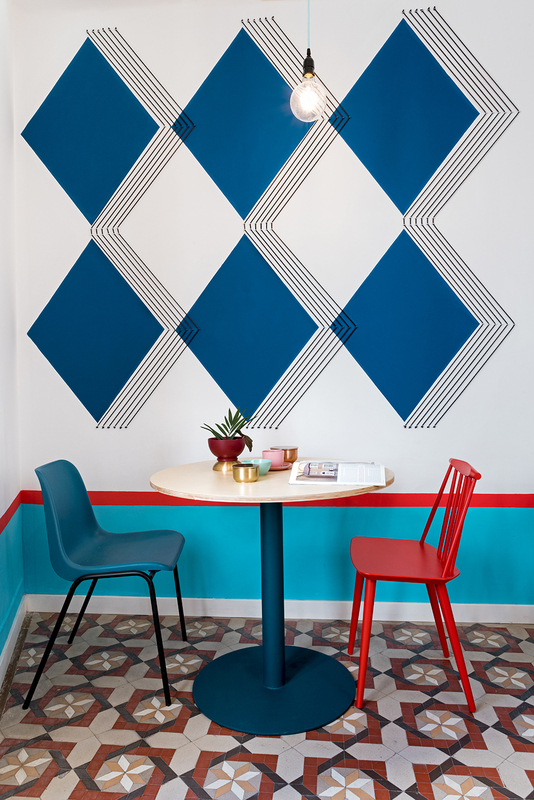 The intervention realized by Masquespacio in the Valencia Lounge Hos-tel starts with a study of the previous status of the project’s building, con-taining typical elements from the Valencian homes of the 20th century with its vintage cement tiles and ceilings decorated with plaster molds that were maintained without modifications. 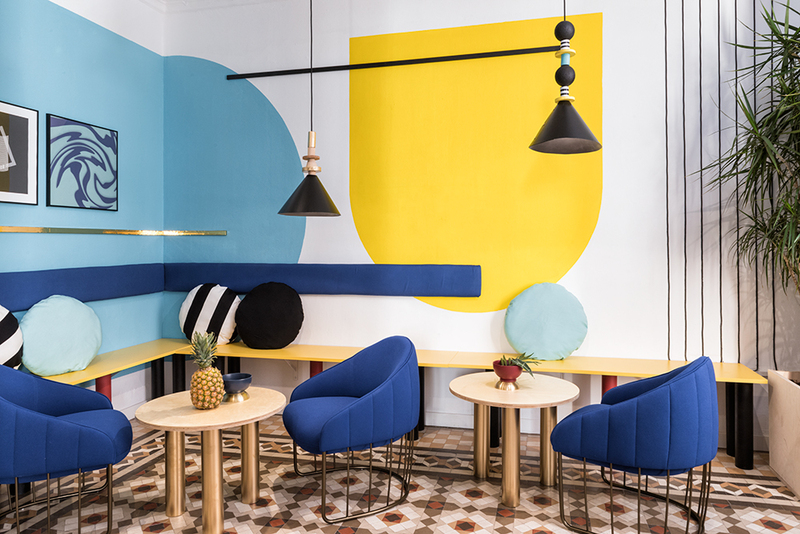 On the other hand, the aim of the design was to convert the hostel in a more contemporary space with a kind of a ‘home coziness’, adding decorative elements that could draw attention of different customers and their lifestyle. 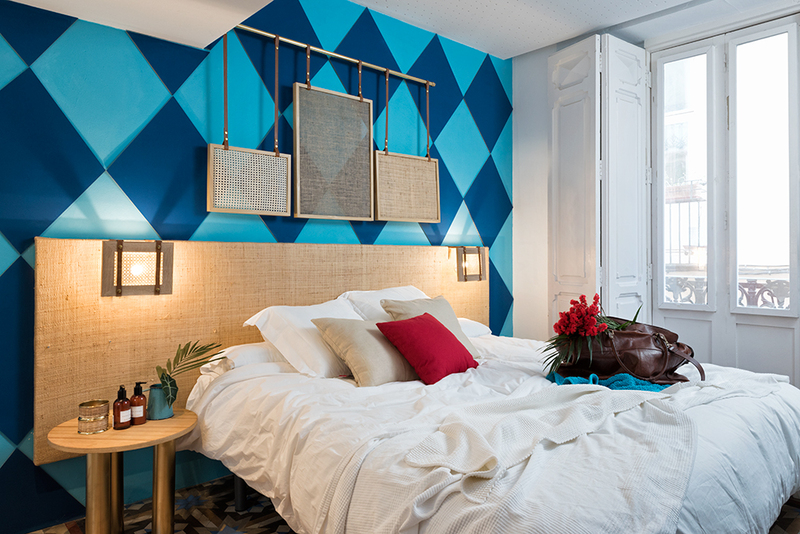 Therefore, each room was designed with a different look, that could adapt to the personality of each personality. 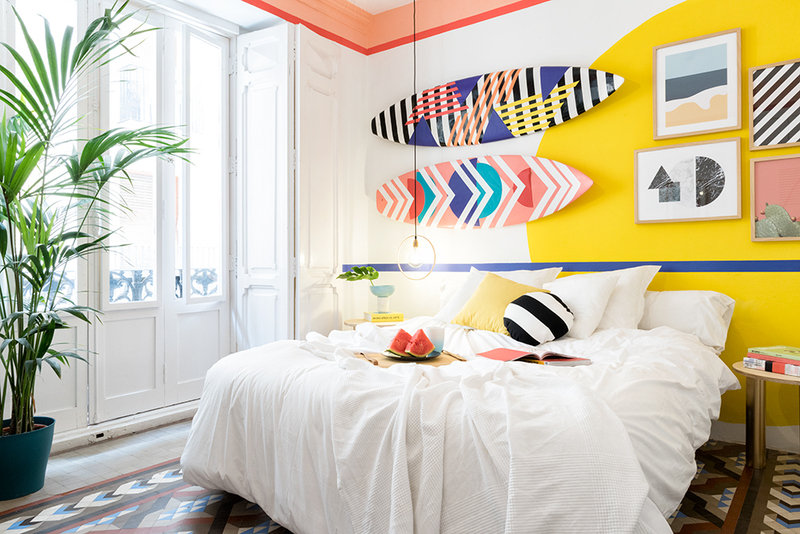 Thus we can recognize the room for the fans of surf, music or the actual ethnic trend. 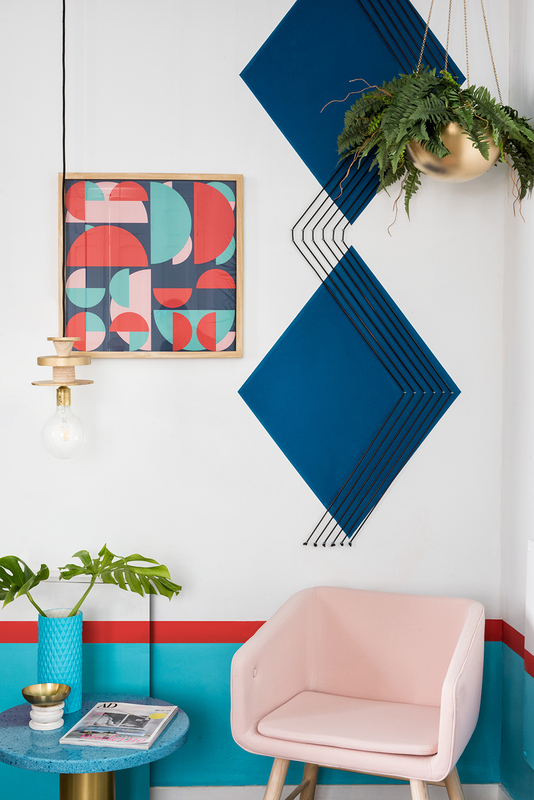 Another aspect to highlight is the use of graphic patterns through the whole project, realized by the Spanish crea-tive consultancy for this project. 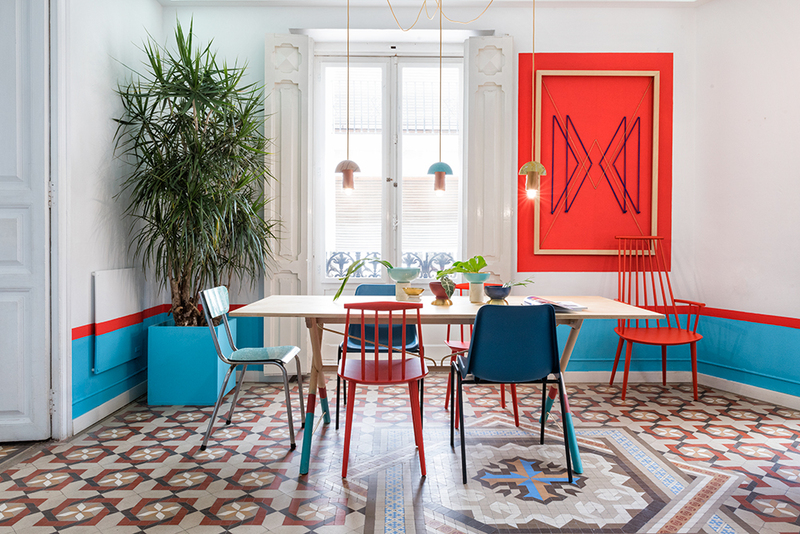 Above with the purpose of bringing up a major personalized identity for the project all lamps, tables and decora-tive elements were designed exclusively by Masquespacio, with excep-tion of the chairs and armchairs. 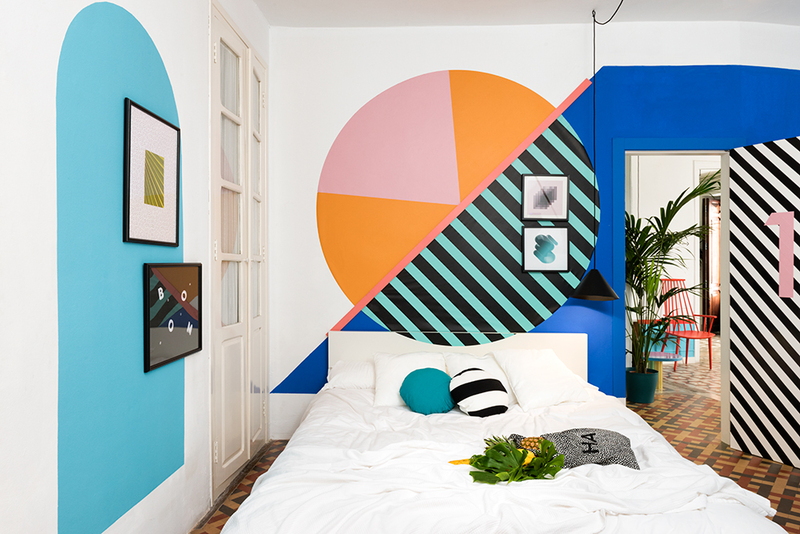 Masquespacio is an award winning creative consultancy created in 2010 by Ana Milena Hernández Palacios and Christophe Penasse. 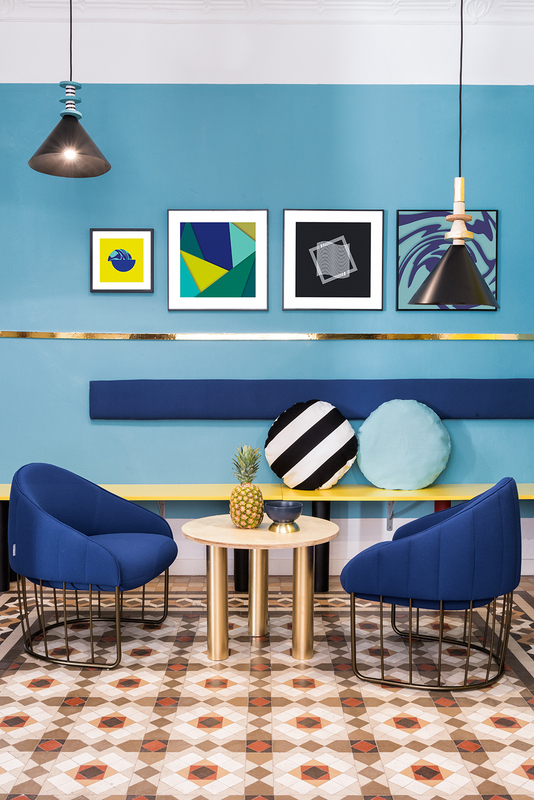 Combining the 2 disciplines of their founders, interior design and marketing, the Spanish design agency creates brand-ing and interior projects through a unique approach that results in fresh and innovative concepts rewarded with a continued interna-tional recognition by media specialized in design, fashion and life-style trends. 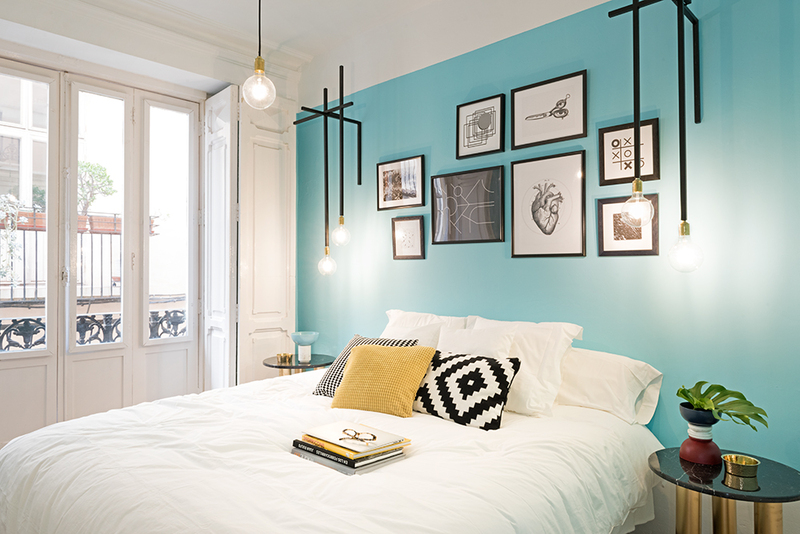 They have worked on projects in several countries like Norway, USA, Germany and Spain.